Pipelines are the safest and most efficient means of transporting natural gas and petroleum products, according to National Transportation Safety Board statistics. Genesis Energy, L.P. owns and/or operates pipelines in Texas, Louisiana, Mississippi, Alabama, Florida and Wyoming that transport Crude Oil, Natural Gas and CO2. Compressor and pumping stations are located along the pipeline routes and help push products through the line. For more information about pipelines, State One Call Laws, or general information regarding Genesis Energy, L.P. assets, please contact Mandy Kennell at (713) 860-2686 or submit a request online. At Genesis Energy, we take health, safety, security and environmental concerns seriously. Click any of the following links for more public awareness information and resources. 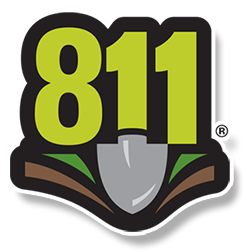 Make the 811 Promise at The811Promise.com or call 811!